The MOD Reverb Tanks are high quality upgrade units. Some of the major differences between the MODs and other reverb tanks are that the Transducers are wired directly to their respective RCA jacks as opposed to current production tanks where Transducers are connected by a detachable plug to their respective RCA jacks. This makes the tanks less receptive to any outside interference. The original Hammond Accutronics tanks from the 1960's were also wired directly to their respective RCA jacks. In addition very close attention has been paid to the spacing and size of the lamination of the Transducers resulting in a more vintage like tone. 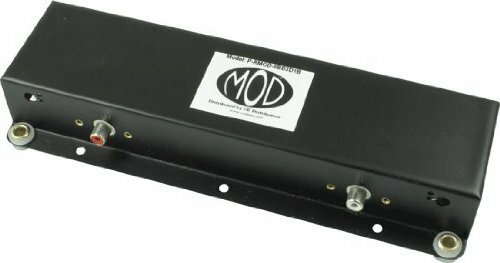 If you have any questions about this product by MOD Reverb Tanks, contact us by completing and submitting the form below. If you are looking for a specif part number, please include it with your message.